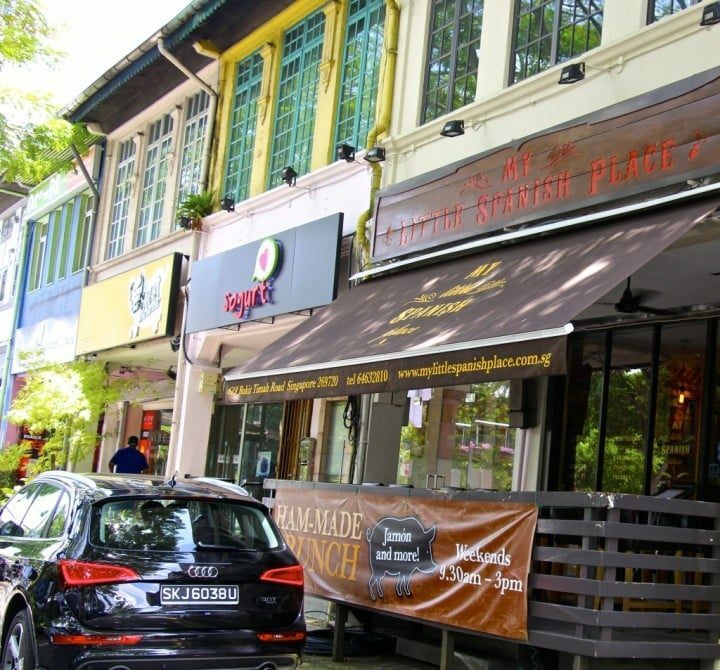 My Little Spanish Place, @ 619 Bukit Timah Road | Is Life a Recipe? This place is worth every single penny spent in my view. Chef Edward is now a mate. He is a genius in the kitchen, without doubt. 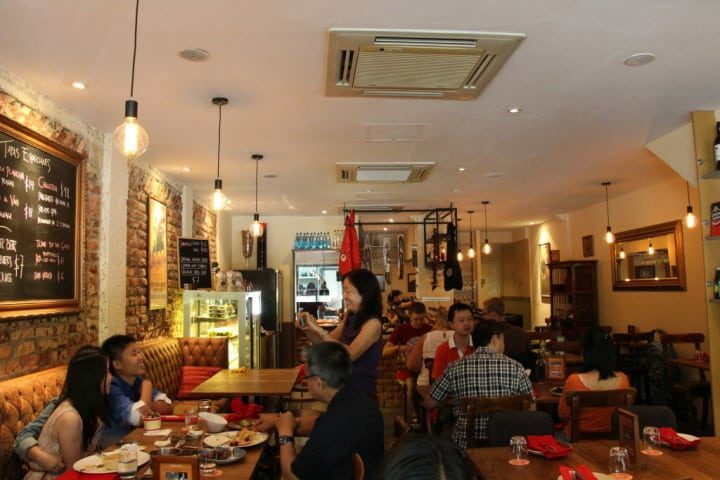 My Little Spanish Place, @ 619 Bukit Timah Road, or @ Boat Quay are seriously die, die, must try restaurants in Singapore. You just simply have to try once. This review is actually a re-write of the very first time we went to Edward’s place, but I tell you, it feels like yesterday. I can still taste the food. It really is just so good. There is no doubt in my mind that this is one of the very best lunches I have ever had in Singapore. 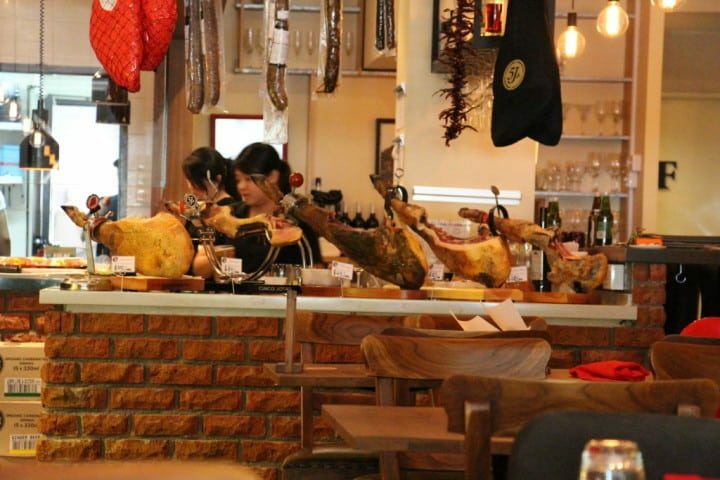 My Little Spanish Place, @ 619 Bukit Timah Road, is just an absolute cracker of a restaurant. The food is amazing, the staff are truly wonderful and it has this ambiance of calm and happiness, it’s just damned good! On this day we were supposed to be hunting out a Laksa place that came with high regards in a book I was reading – Bizarre Foods by Andrew Zimmerman. It’s a good book if you get the chance, with a stonking big section on Singapore. So we were searching for the very aptly named ‘Mary’s on the Corner’. Round and round we drove, trying to find the hawker in which she resides, only to find that the whole hawker has now shut and has been replaced with a new modern bar. That is very sad indeed – albeit that the new bar is not that bad as it still encourages hawker food within its doors – well done I say. 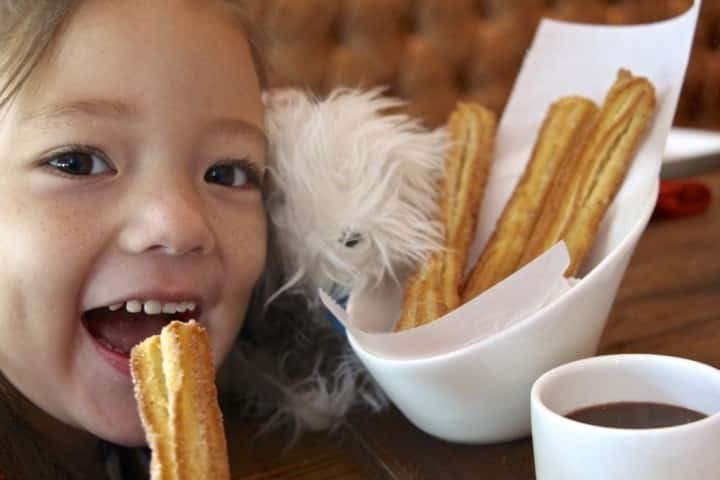 But then we found My Little Spanish Place, @ 619 Bukit Timah Road – happy days! Do you like pig? More to the point, do you like cured hams? If you do, you are gonna love this joint (excuse the pun). Filipino Chef Edward at the helm, Perhaps he is using some of the deep set Spanish and Portuguese heritage from the Philippines. This guy is banging out amazing dish after dish after dish – and I am not exaggerating. It is Tapas in style, so we did indeed have dish after dish after dish. 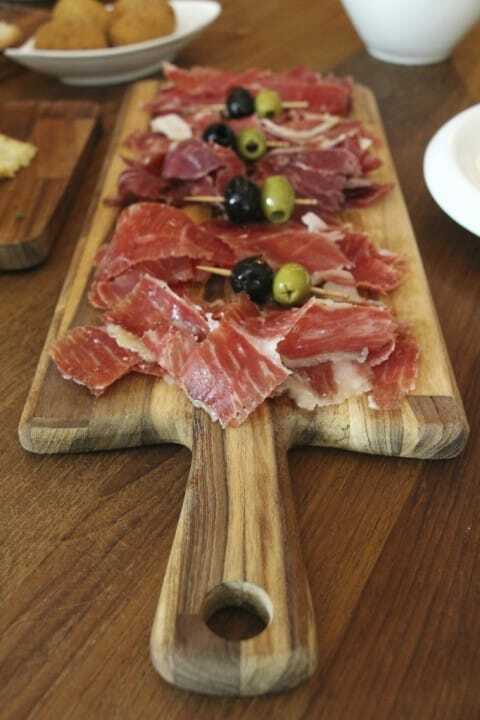 Daddy-pedia – Tapas literally means ‘to cover’, and history has it that the word literally originated from someone taking a small thin piece of cured ham and using it to cover a wine glass to protect it from the flies. There you have it, thinly sliced ham, to cover – hey presto Tapas. How about that! If I have not said it before, the place I am talking about is My Little Spanish Place, @ 619 Bukit Timah Road. +65 6463 2810 and contact [email protected] I would recommend you book. It’s nestled between a load of other small bistros, bars and the like, pretty unassuming. I love the picture of the pig and the cuts of meat logo. That got me going big time. As you walk in you see the picture below. The interior, is nothing flash or pretentious, but it feels just right. And then after your eyes focus from the sunlight, you spot these below – “Oh man this is going to be a good lunch I just know it!! 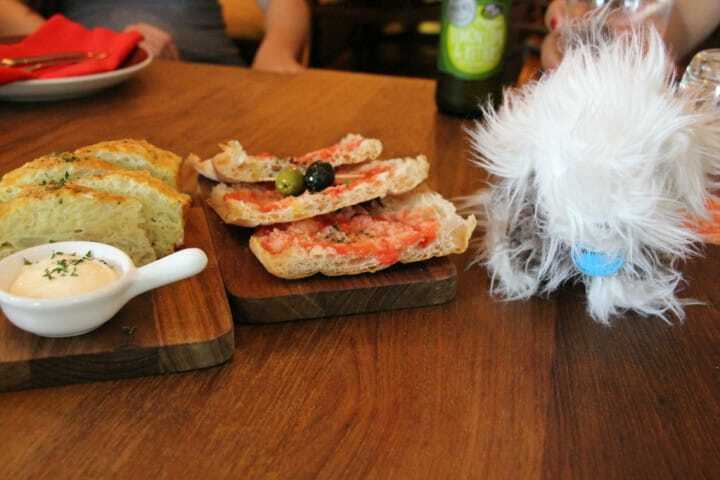 !” I am truly in love with My Little Spanish Place, @ 619 Bukit Timah Road. Of course we simply had to order the special of Tabla de Cinco Jamones (yep a serving platter of 5 hams) as well as the Tabla de Quesos (a serving platter of cheeses). Just for these two dishes I would return here again and again. This seriously has to be the very best of the best Iberico hams I have ever had – even better than that one I consumed at Harrod’s when in UK – remember the blog? They serve the 5 hams up in order of age and encourage you to start with the young and end up with the eldest. Crikey that sounds like one of my nights at the disco when I was a teenager!!! Are these a thing of beauty or what? These lasted approximately 5 minutes at the table. 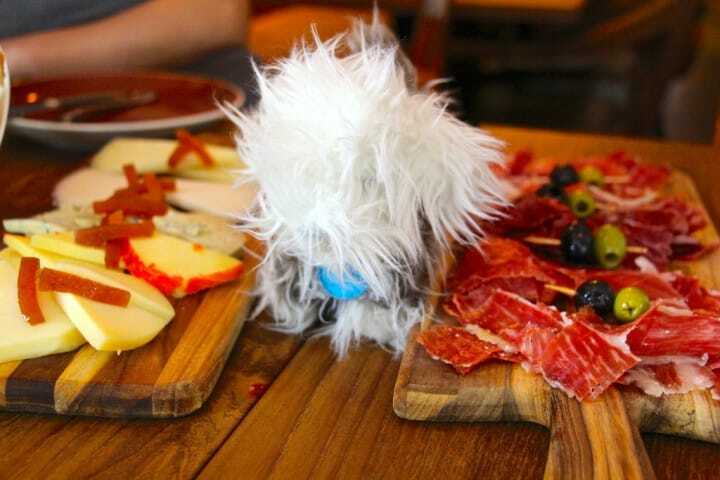 There is a story behind why the dog is there posing with the platters, but that is for another time – focus on the food!!! At one end the meat is +48 months old, and at the other end is +24 months – young to old. My favourite was the middle and the eldest. Oooh I am feeling giddy just thinking, and writing about it now – amazing!!! Pan con Tomate – sort of a Spanish bruschetta – bloody hell, so flipping tasty! 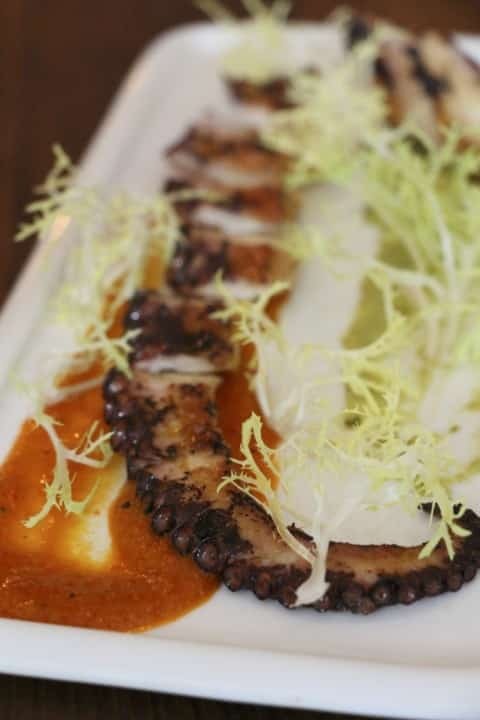 Chuletillas y Huevos – Mary got her fix of octopus with this dish. It was prepared especially for her, I think, because she and Chef Edward are Filipino. It is grilled and served with a sauce of red and green capsicum – bloody great this was, and man does it look beautiful. Leche Merengada con PX – THE BEST dessert ever eaten by these lips. It is ice cream with cinnamon and lemon zest, and then you pour over a ‘sticky’ or dessert wine. In this instance it was Pedro Ximinez. This was unbelievable, like a Bailey’s on major steroids. There you have it folks My Little Spanish Place, @ 619 Bukit Timah Road. This truly is a must visit. Say Hi to Chef Edward, and mention my name. You will not be disappointed. If you don’t want to go to Bukit Timah, scoot down to Boat Quay. The recommendation is to book, as this place gets mobbed. It is just absolutely incredible food, created with love and passion. If you do go you will absolutely, and categorically – ENJOY!!! No Replies to "My Little Spanish Place, @ 619 Bukit Timah Road"